When it comes to increasing performance of a 20+ year old car, the biggest hurdle you will come across is the 20+ year old components. We recently had a customer with an R33 Nissan Skyline GTS come to us wanting to get the best from his modifications. He’d already had a front mounted intercooler, bigger turbo, cone filter, turbo back exhaust and an Apexi Power FC. The plan was a simple boost increase and tune of the Power FC. He had been told that the car kept going into ‘rich and retard’ and just needed a remap to sort it. This turned out to be a misfire. A new set of plugs and ignition coils cleared this up and allowed us to carry on with the tune. All was going well, with the car producing 296bhp/ 280lb/ft but it became apparent that the old 370cc injectors were at the end of their safe reach. Now it was time for the next weakest link of the standard RB25DET to be chased out and upgraded. 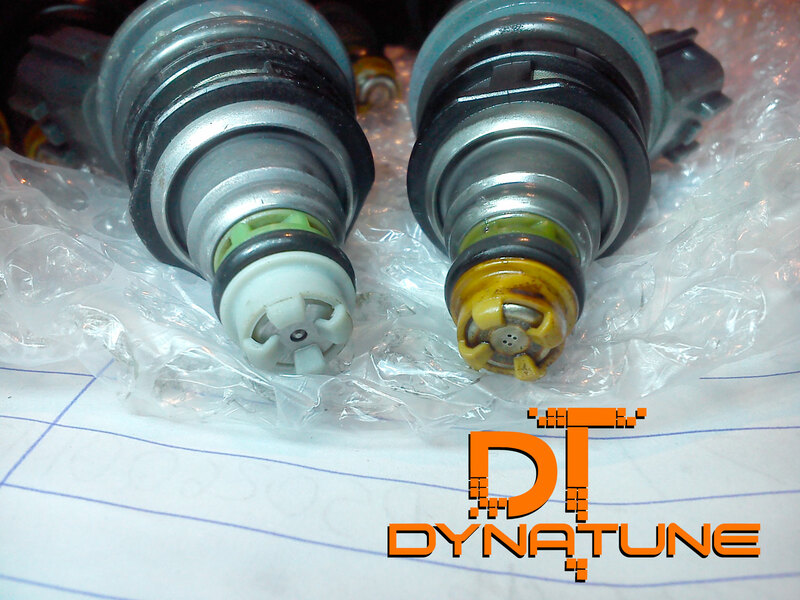 A set of larger injectors were sourced, some 480cc bigger. These allowed us to once again carry on with the tune. With the extra fuel available we were able to safely raise the boost to 1.2bar (17.64psi). This gave us a good increase in torque, unfortunately too much for the 20+ year old standard clutch, with the clutch slipping it was the end of the tune, least until the customer is able to get the next upgrade. 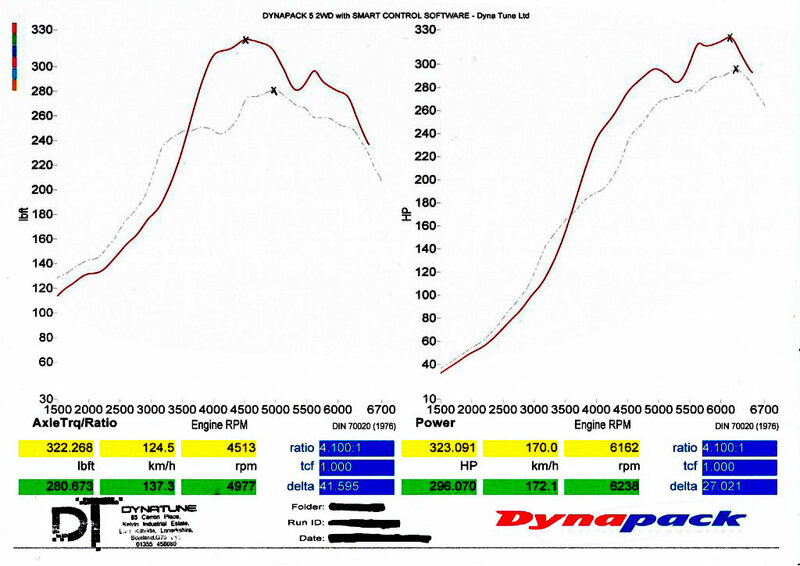 As you can see from the graph it’s now producing 323bhp /322lb/ft, the clutch is also not able to transfer the extra power properly and eventually gives a proper slip at 5000rpm. All figures quoted are recorded at the hubs on our Dynapack DAQ5 chassis dynamometer.